56% of train journeys in the UK are taken for commuting to work and the average train commute is just under an hour. Like many people I form part of this microcosm several days a week and like all commuters I have identified patterns during these journeys. However, most of the patterns I have noticed do not relate to where to wait on the platform or which seat I take each day but to the conversation and human interaction on the train and platform. Aside from the polite “excuse me” the most commonly muttered phrase is “I don’t know”. Most commuters work on the train, with a large number making work phone calls. I have yet to hear a call be made without the use of phrase “I don’t know”. “ I don’t know whether to do what legal say or what compliance say”, was one particularly concerning call! These commuters tend to speak fast and their speech becomes faster and louder during the call, they often fidget, take off layers of clothing and huff and puff at the end of the call. These people are showing physical signs of stress. April is Stress Awareness month and to be aware we need to notice - notice the physical signs in ourselves, our teams and colleagues of people starting to struggle. Many people will be writing this month about the steps you can take to manage your stress and support those around you. Many of these fantastic suggestions include well-being recommendations around sleep, exercise and nutrition and they are incredibly helpful. When the mind starts to struggle it can often be the body which is best placed to help heal. I will simply add one additional suggestion – ask about what you don’t know and ask early. A lot of people struggle asking for help – particular in a time when there is so much focus on self–help. You only have to go to a bookshop to see the rows of books on self-help to feel like you are meant to sort everything out for yourself. Sometimes people feel it is weak to ask for help, that there will be a cost or consequence. I recommend that you see asking for help as a strength. Asking for help is not passing off your responsibility, it is taking responsibility, especially if you ask early. An early request for help tends to be considered, “ please could you confirm that what you want me to do is XYZ” rather than panicked " Help I don't know what to do?". Asked in the correct way a question can flatter – “please can you let me know what you would like me to prioritise - I think it should be Project X but wanted to check your view”. Follow up that client call with an email summarising what you think they want to ensure their needs are met. Asking for help can also manage risk in the case of trying to get two risk related functions to speak to each other. At byrne·dean we spend a great deal of time helping people to create a speaking up culture both from an all staff perspective, recommending effective tools and from a management perspective helping managers themselves to speak up as well as listen and react. Asking is a form of speaking up. The suggestion, “ just ask” seems so obvious but in times of stress people cannot see the obvious step. 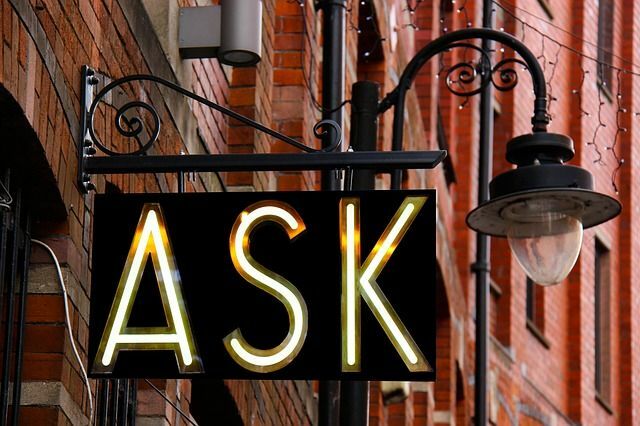 Asking for help has to be part of your workplace culture- something that is practised and supported regularly so that people are less likely to become stressed and so that in times of stress this behaviour is so ingrained that people do it anyway. Try and create a culture in your work place where asking for help is the norm by doing it yourself and being receptive to requests from others. If you hear yourself uttering the “I don’t knows” make sure you ask for support. In doing so you can relieve your own stress and that of others. A picture paints a thousand words ....so paint yours carefully!